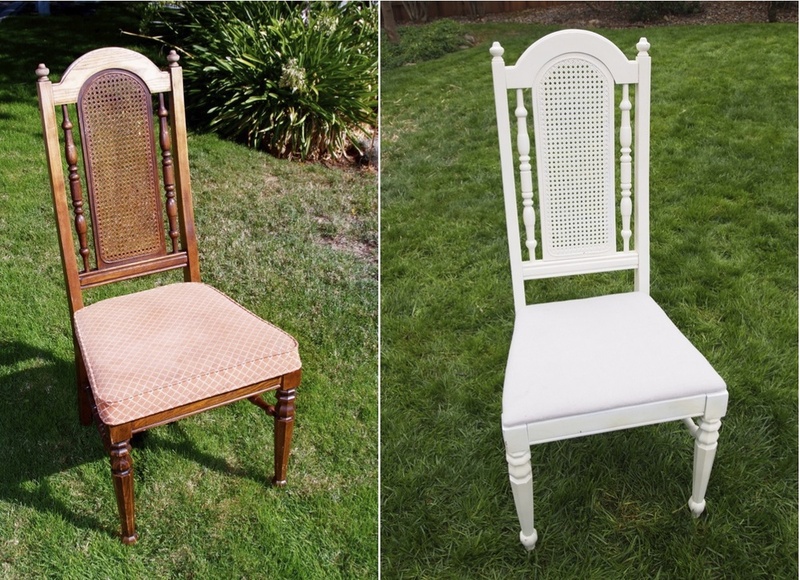 We love finding a great chair, but we love finding a SET of great chairs even more! We stumbled across six of these great cane back chairs. The high back and the ornate spindles are to die for, but we could do without the orange cushions. The wood also needed some attention. There's nothing a little sanding, off-white paint, and fresh fabric couldn't fix! We just love the new look on these chairs.